Simon Says It’s Hip to be Square! 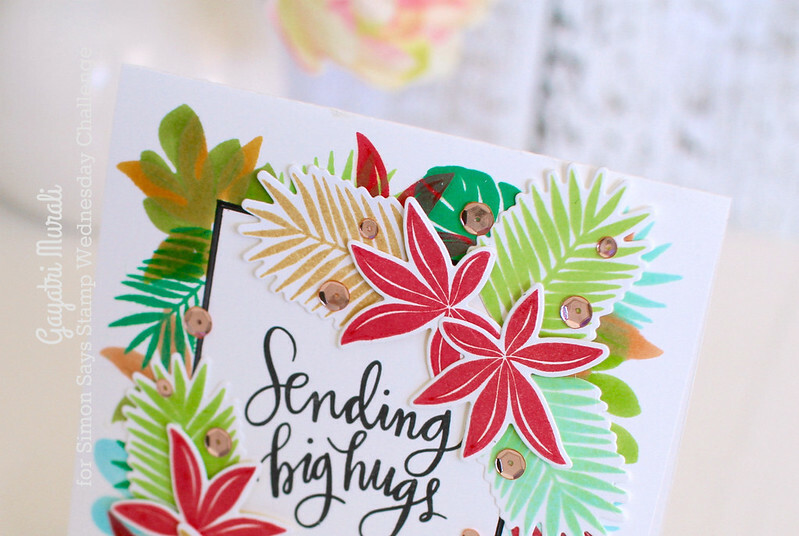 Thank you for joining us for the Make For the Border Challenge and we hope you will all join us again this week too. I have taken this challenge in the literal sense and made a square card. My card is 5″x5″. I die cut masking paper using a square die and masked the centre of the card with the masking paper die cut to the centre of the card. 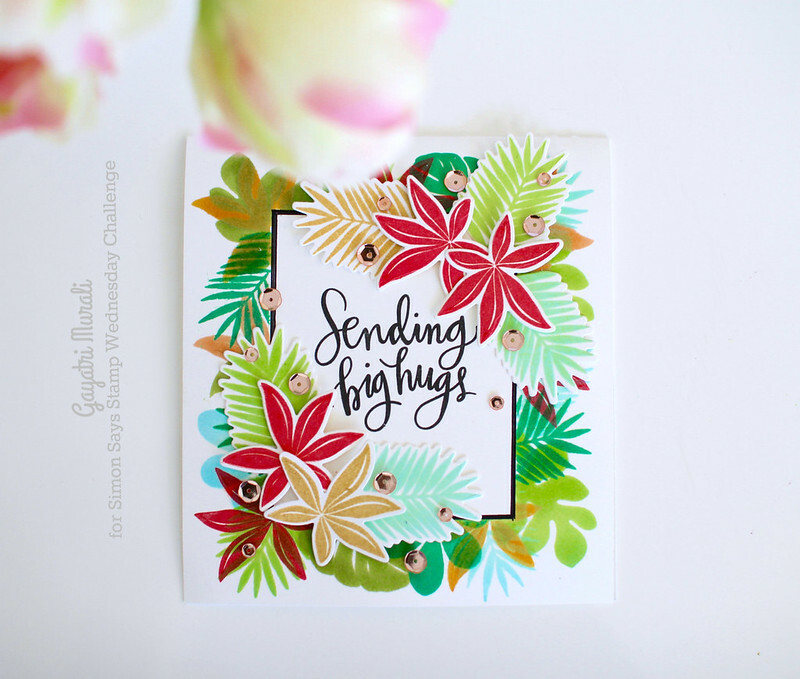 Then I used MISTI to stamp layers of tropical leaves from Tropical Leaves stamp set. I have double stamped many of the leaves to get even coverage. I have used Simon Says Stamp Lucky, Jelly Bean, Willow, Malibu Blue, Melon, Sunshine and Hot Lips inks and Delicata Gold Pigment ink. Then I removed the masking paper. There was a bit of bleeding as I had double stamped and also stamped layers. Masking paper do not hold that much of ink from stamping. To fix the bleeding, I used my black fineliner and drew the border inside. This added a nice frame and contrast. 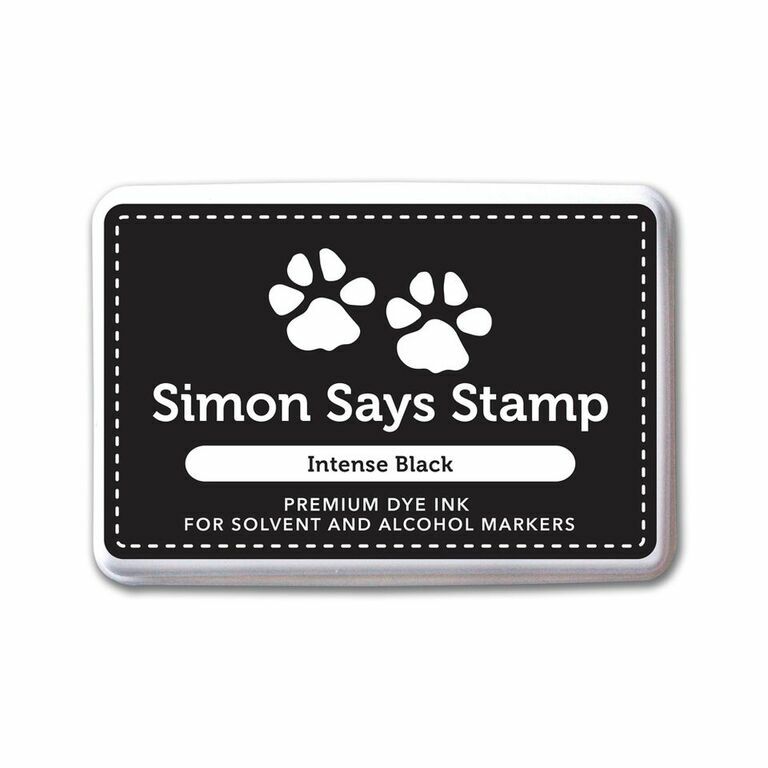 I stamped the greeting from Big Scripty Greetings in the centre using Simon Says Stamp Intense Black Ink. I felt the card needed a bit of dimension. 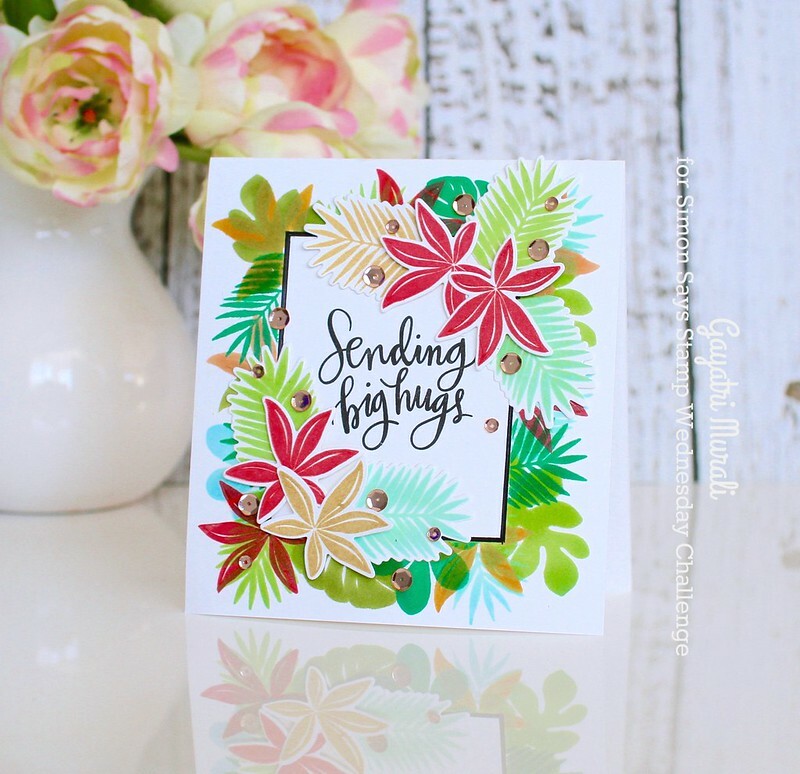 So I stamped and die cut images from Tropical Leaves images and clustered adhered them diagonally opposite to the sentiment. I LOVE how colourful this card turned out. Hope you like it too.